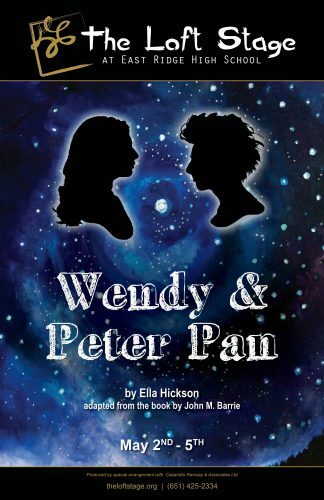 Our spring play, Wendy & Peter Pan, pays homage to the original J.M. Barrie Peter Pan but brings some of the characters and content into the 21st century. Many of the beloved characters like Peter, Wendy, Tinkerbell, and more are still there but with a modern twist. Beyond battling the ruthless Captain Hook, these characters grapple with what it truly means to be lost and how resiliency and courage can transcend both death and time. On the production side of things, we’re thrilled to announce that we’re bringing in a professional fly company and, for the first time ever, we will have students flying on stage! Tickets are currently available for purchase using the link above!